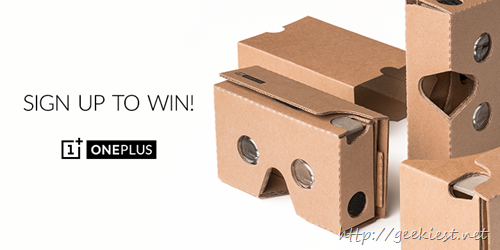 Earlier we have posted that the much awaited OnePlus 2 launch will be on Virtual reality show. 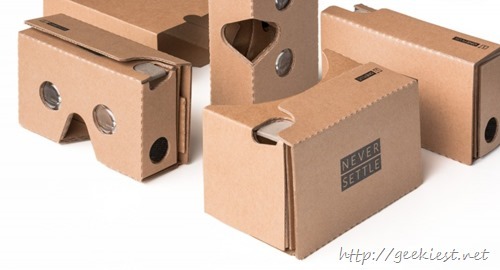 So OnePlus Cardboard will be the item you will required to feel the Virtual reality. In India the product will be available through Amazon India and the Price will be INR 99. You can participate on the giveaway by registering on this link, 1,000 lucky winners will get OnePlus Cardboard for FREE. The contest closes on July 3, 2015. For those who not able to get it on Giveaway can buy it from Amazon, from third week of July. The exact date is not announced by OnePlus, once they declare it we will update the post. If you want to create one for yourself, you may visit the Google Cardboard website and download the kit required for it. Same amazing visual experience in a package that is 20% smaller. Designed to perfectly hug the OnePlus One, our Cardboard is also compatible with most devices up to 6” in size. There are a lot of discussion is happening on their blog posts are based on the price, as OnePlus declared the product for FREE + Shipping charge for countries other than India. It seems Indian wil get the product for INR 139 (including shipping) is cheaper than other countries as they have a higher shipping charge.